CrossFit Purgatory's Annual 12 Days of Christmas workout! The holidays are right around the corner (can you believe it?!?!?) and its time for the Annual CrossFit Purgatory 12 Days Of Christmas WoD! 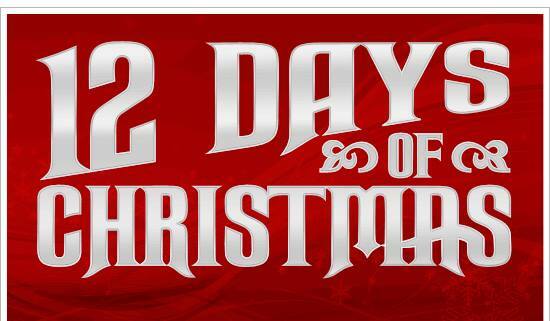 The workout will go just like the song “The 12 Days of Christmas” does, check it out. It starts with 1 Burpee, then 2 Pull-ups (Strict) and 1 Burpee, then 3 Knees to Elbows, 2 Pull-ups (Strict) and 1 Burpee, etc. This will continue on till you start from the 12 Thrusters, 11 Overhead Walking Lunges….2 Pull-ups (Strict), and 1 Burpee to finish. Feel free to come join us on this awesome day and make it even more festive by wearing a Christmas themed outfit!